It doesn’t get any better than this (at least not on this side of the afterlife). Wagyu cattle have the most marbling and have the most tender meat of any breed of cattle known to man. They probably serve Wagyu beef in heaven. You’ll have to wait and find out I guess. Or you can add it to your cart and have a heavenly experience here on Earth. These 2 bad-mamma-jammas are a solid pound a piece, and are bone-in for perfect cooking. (Our mouths are watering just thinking about them). 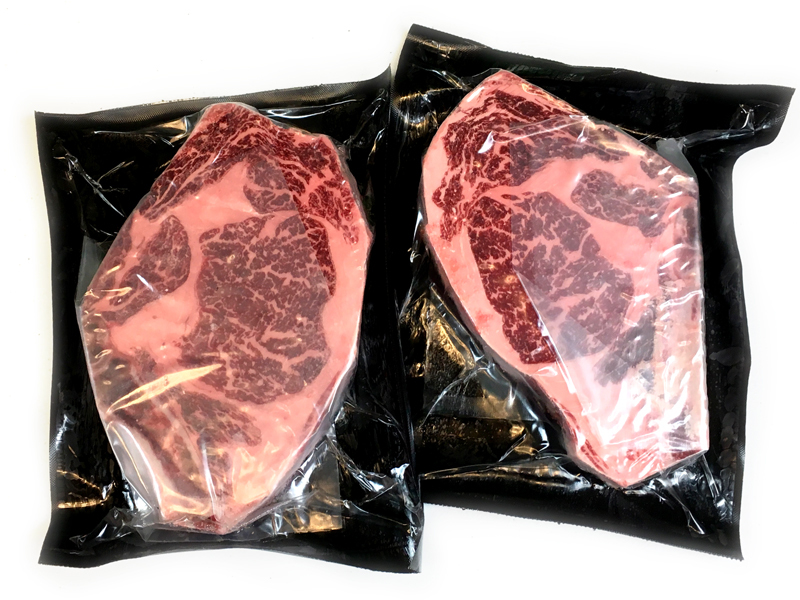 Considering Wagyu beef sells for up to $1000/lb, we’re pretty much giving these away. (You’re worth it).